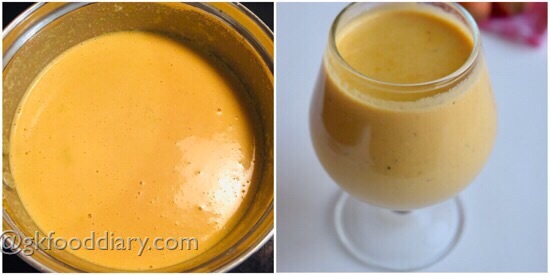 Carrot Milk – Tasty flavored milk with carrots, nuts and cardamom. 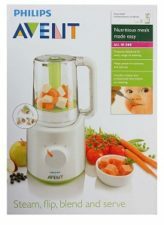 Carrot milk is a tasty and delicious drink for toddlers and kids who doesn’t prefer the bland taste of plain milk! 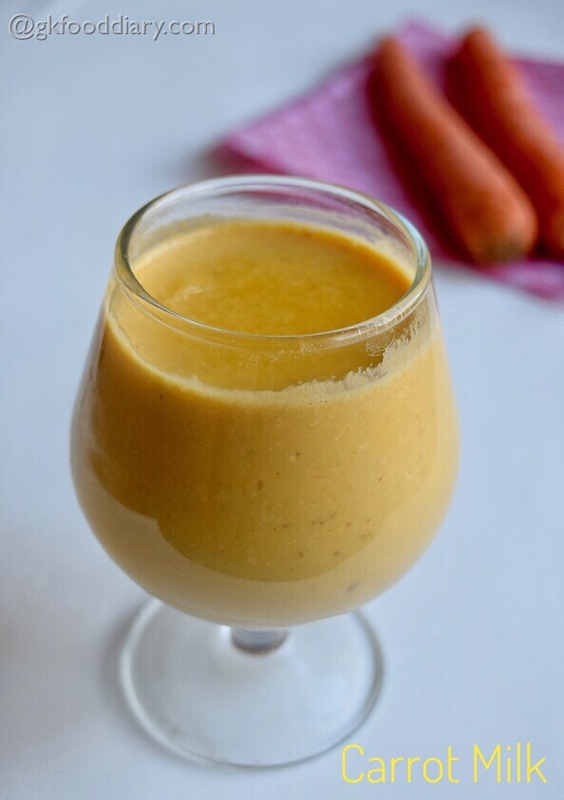 The method of preparation is similar to this carrot milkshake with slight variations. Carrot milk can be given to kids from on year after introducing milk separate. Do try this carrot milk for your kids if they fussy about drinking milk and share your feedback in comments. 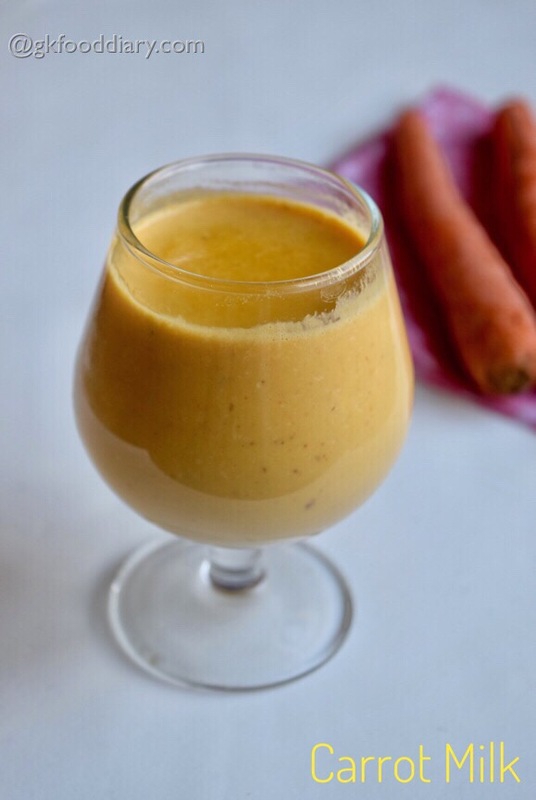 Here is how to make this carrot milkshake for toddlers and kids. Keep all the ingredients ready. Wash the carrots in running water thoroughly. Peel the outer skin off from the carrots using a peeler. Then chop the carrots into small pieces. 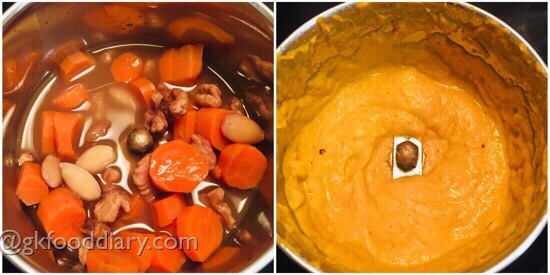 Take a pressure cooker, add in chopped carrots, almonds,walnuts and little water. Pressure cook everything in low medium flame for a whistle. Once the pressure released, open the cooker and remove the skin from almonds. Then add in cane sugar/palm sugar and cardamom to a blender. Add in pressure cooked carrots along with nuts. Blend everything till smooth. Heat milk in a sauce pan until rolling boil. Reduce the flame to low and add ground carrots paste. Mix well. Boil it further for 3-4 minutes and switch off the flame. 1. Keep all the ingredients ready. Wash the carrots in running water thoroughly. 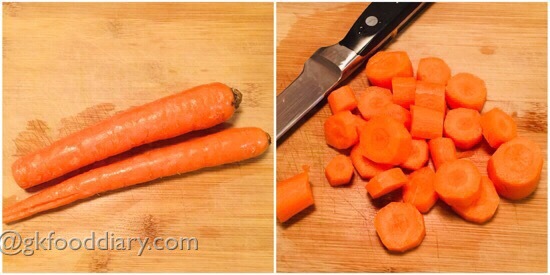 Peel the outer skin off from the carrots using a peeler. Then chop the carrots into small pieces. 2. 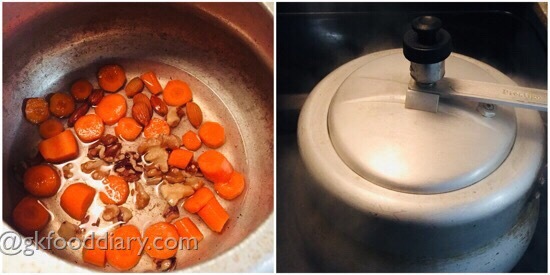 Take a pressure cooker, add in chopped carrots, almonds,walnuts and little water. Pressure cook everything in low medium flame for a whistle. 3. 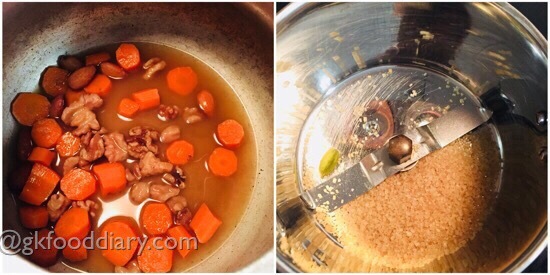 Once the pressure released, open the cooker and remove the skin from almonds. Then add in cane sugar/plam sugar and cardamom to a blender. 4. Add in pressure cooked carrots along with nuts. Blend everything till smooth. 5. 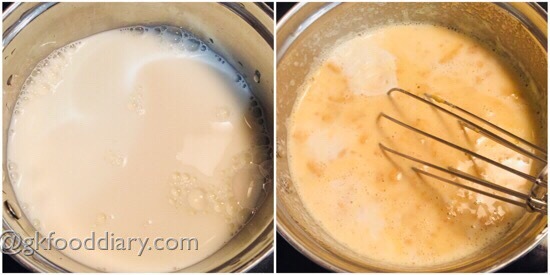 Heat milk in a sauce pan until rolling boil. Reduce the flame to low and add ground carrots paste. Mix well. 6. Boil it further for 3-4 minutes and switch off the flame. The creamy carrot milk is ready. Serve warm or chilled !! Adjust milk quantity as per the consistency you want. This carrot milk can be served warm or cold after refrigeration. Tastes good in both the ways. Choose sweet tasting carrots for best results. 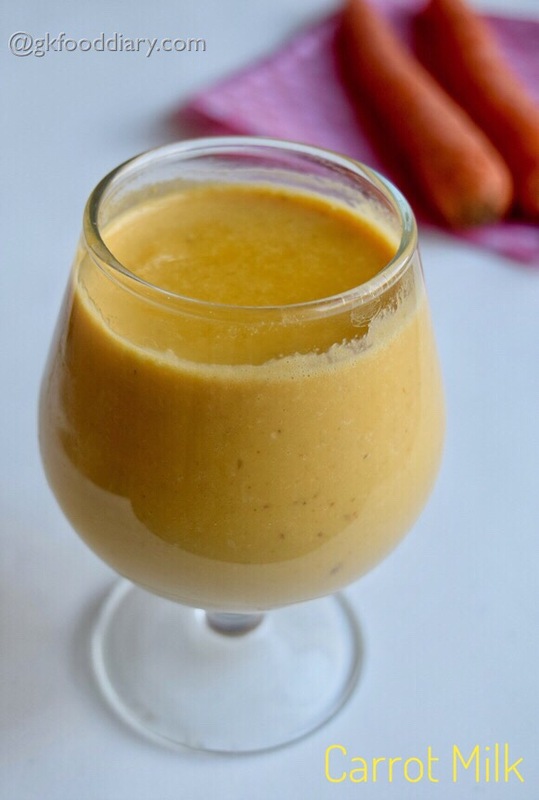 Make sure to introduce carrots and cows milk separate before you try this carrot milk. You could add any nuts of your choice to make this carrot milk. Always check with your pediatrician before giving any new food to your baby.